When you want to turn your household clutter into cash, holding a yard sale can be the perfect option. Not only can you rid your home of unwanted items, but you get to do it on your terms since you pick the dates and set the prices. But, organizing a garage sale can be overwhelming. You have to sort through your belongings, determine prices, advertise your event, and actually hold the yard sale. Luckily, there are ways to make the process easier. 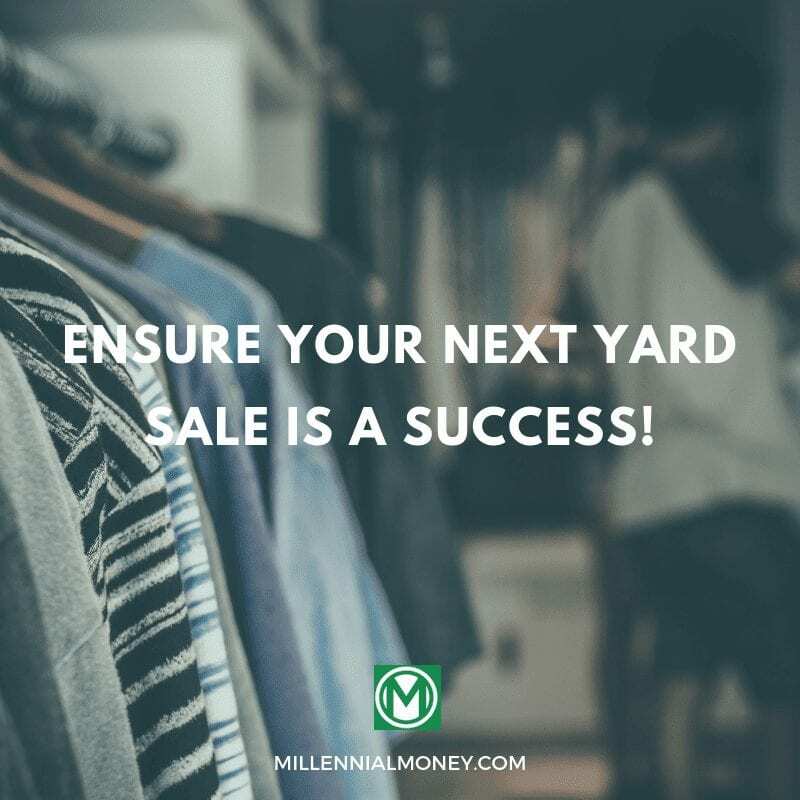 Here are some of the best tips that can help ensure your next yard sale is a success. Before you do anything else, you need to focus on organization. If you wait until the last minute, you may end up scrambling to find items to sell, set prices, and more. For a yard sale to be a success, you need items to sell. Start by digging through common storage areas, like basements, closets, and attics, and find belongings that you know you don’t need or haven’t touched in a year. Usually, if you don’t use an item over the course of 12 months, you don’t need it. So add it to the pile! Additionally, anything you forgot you owned should also go, as the same principle applies. After going through storage areas, give the rest of your house a walkthrough too, particularly children’s rooms. Declutter as you work through each space to make the process simple. As you cleaned out the clutter, you likely found some items that would be great for the sale. However, you’ve probably come across others that should just be thrown away. Take your big pile and sort it into three smaller ones: keep, sell, and trash. Ideally, your keep pile should either be empty or practically none existent, but don’t be afraid if the trash pile gets big. After all, you don’t want to try and sell junk, as too much of it makes your garage sale unappealing to shoppers. Holding a neighborhood garage sale can bring in more potential buyers, as a big event means they don’t have to run all over town to find bargains. Additionally, you can split advertising costs and potentially even hold the event in a community area, allowing everyone to keep their front lawn free of visitors. Before you consider a date, talk to your neighbors and see if they want to join. 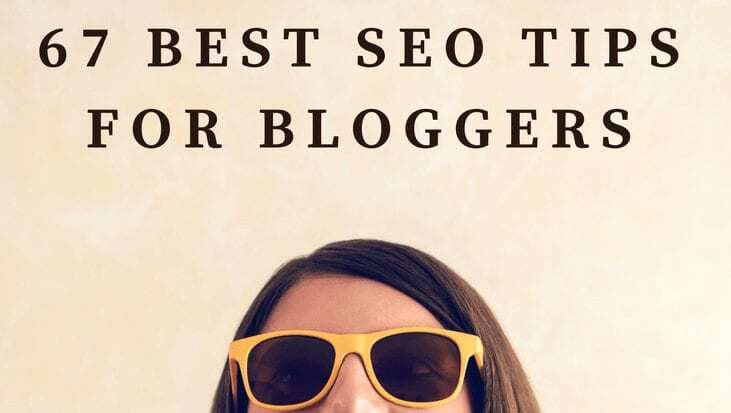 Additionally, make sure they have enough time to go through the sorting process like you did, ensuring that only the best stuff makes the cut. 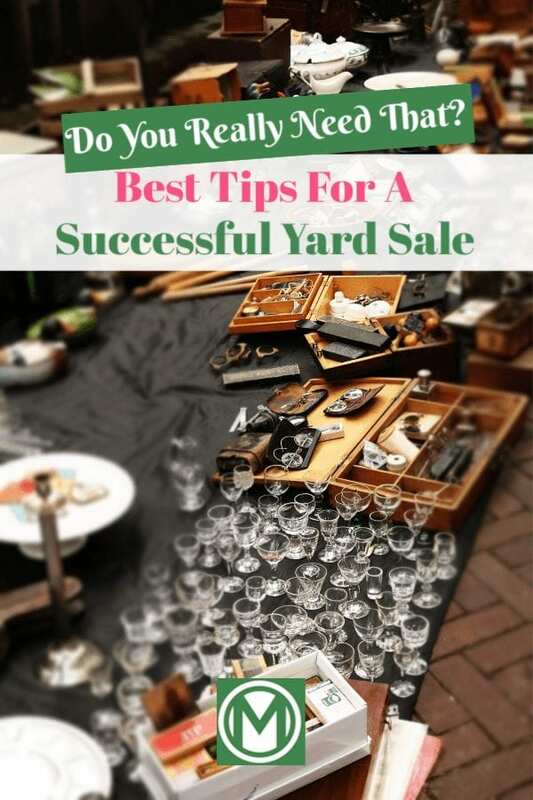 Ideally, you want to hold your yard sale over a Friday, Saturday, and Sunday, starting early in the morning and ending toward the late afternoon or early evening. Pick a weekend near a common payday, like the first weekend of the month, to increase the odds that shoppers will have money burning a hole in their pocket. Additionally, you want to pick sunny days, as it ensures your yard sale signs won’t be ruined and that the shopping experience is more comfortable overall. However, you might not have a good grasp on the weather until a few days before your original dates, so consider being flexible with the timing if bad weather happens to loom on the horizon. For a successful garage sale, you’ll need some supplies. For example, pricing stickers, a permanent marker, tables, and a chair are useful. For clothes, having a rack or clothesline where you can hang them may also be beneficial. How many surfaces you need depends on how many items need to be displayed on tables. The same goes for clothing rakes too. Consider how you want everything set out and see if you need to pick up additional options for display purposes, ensuring your yard sale is as attractive as possible. If people don’t know your sale is happening, you probably won’t see many buyers. This makes advertising critical. However, you can’t just scribble the words “garage sale” on a cardboard box and expect results. It’s best to take it a step further. Yard sale signs are the easiest way to start advertising your event. Consider buying premade signs with arrows that can point people in the right direction, or make your own featuring big fonts and bright colors. You can even add a few balloons to draw attention to the sign. Just make sure that the words are legible from the road, including when a person is driving in the early morning light and doing the speed limit. Many smaller yard sale signs with address lines and no arrows aren’t effective in areas where the speed limit is above 30 mph (sometimes less). Why? Because they can’t be read if the person doesn’t slow down. If you do add your address to the sign, make sure it is big and very bold. A single swipe of a marker isn’t going to be clear enough for drivers so make several passes. Additionally, use arrows to help point the way, ensuring anyone can find your sale. There are other advertising opportunities besides yard sale signs. Listing your event in a garage sale Facebook group can be an excellent (and free!) way to get the word out, and so can posting on sites like Craigslist. Similarly, community bulletin boards are a great option that doesn’t come with a price tag. Alternatively, you can add a listing in the local paper, but that will cost you a little bit, so consider how many people may actually read it before forking over any cash. In any case, make sure to keep written ads simple. Include the date, time, and address. Then, if you have more space, consider highlighting around three to five exciting items you’ll have for sale, but make the descriptions concise. Pricing your stuff can feel hard, especially if there is any emotional attachment. But the goal is to get these items out of your life while making a little side cash, so pricing things properly is a must. People shop at garage sales to find deals, period. Even if that coat you want to sell was $90 when you bought it, and you only wore it once, it probably won’t sell for $50. But, if you list it for $30, you might find a buyer. If it shows signs of wear and tear, then you may have to go down to $20 to get it sold. When you select prices, never pick a higher number to compensate for haggling. This makes your yard sale less attractive, as high prices drive buyers away. Instead, be fair with your pricing and during any negotiations. You want all of your prices in highly visible places. You can either add a sticker in an obvious location on each item or group similar pieces together on tables or racks (or in bins) with the same price for anything there. Additionally, large items need bigger tags. While a book can have a single sticker, use a full-size piece of paper to display the price on a dresser, ensuring your shoppers don’t have to hunt for it. Sometimes, giving people a “deal” for buying multiples can move merchandise. For example, consider selling individual books for $1, but offer 5 for $4 if you want to unload them faster. Similarly, if someone is buying multiple items from your sale and wants to haggle on the price, consider bundling the sale and negotiate the entire total. Once everything is priced and ready for sale, there are still a few things you need to square away on the big day. Before you start selling, make sure you have tons of one dollar bills ready, as well as some fives and tens. If you have items that you are open to letting go for less than a buck, then you’ll need quarters, dimes, and nickels too. How many you need depends on the pricing of your items, but having change ready is essential. As you put pieces out, focus on the aesthetics. An attractive looking sale draws in buyers, so clean dust, dirt, and debris off items and coordinate them nicely throughout your yard. Put your most interesting items closets to the street to draw people in, and make sure to reorganize regularly throughout the day to keep things looking good. While the majority of yard sale shoppers are harmless, it’s always wise to take precautions. Keep your house locked and your money on you at all times. Don’t let people inside to use the bathroom (even if they are asking for a child) or get a drink, and make sure to be vigilant. Ideally, work your garage sale with a friend or family member, ensuring no one is every alone and that you can easily monitor the situation (and accommodate your own bathroom and meal breaks). Almost no yard sale ends with everything going to a new home. This means you need to plan for items that don’t sell. Whether that be donating them to a thrift store or taking them to the dump, having an idea of what you want to do is a must. That way, these items don’t make their way back inside, re-cluttering your house. After your garage sale, you should have a nice wad of cash in your hand. Plan to make the most of it by paying down debt, saving for a goal, or investing. However, don’t be afraid to spend a little, especially on those who helped make your yard sale a success. Order some pizza or offer another token gesture, and let them know you appreciate their hard work. These are great tips! I use the yard sale treasure map to find yard sales in my area, so that’s another place you can advertise.